If you’re in the middle of a merger or acquisition, or if times are tough in your company, then your outlook on your job security may have changed drastically. When the clouds of uncertainty hang over you and your co-workers, it’s almost too easy to begin thinking the worst – that you’ll be laid off. Rumors are rife, fuelled by small pieces of information that are propelled through your organization like a dose of the flu. So it should be no surprise to you, or your employer, that your productivity is at risk – or indeed reduced. Uncertainty – and that’s what this is about – creates fear. Plunging into fear causes us to shift our mind-set, involuntarily, into defensive action, or no action at all. Plans, dreams and aspirations for the future begin to fall aside in favour of protecting ourselves from our perceived vulnerabilities. Not just in our work, but in our personal lives too. Life is s**t.
You could be thinking that I am painting a gloomy picture here – that’s if you’re not in this hell right now. If what I write hits home then it’s no more gloomy than you’re feeling. The impact on our work is not always immediately obvious. We don’t enjoy being less productive. We don’t enjoy to think less about the long-term future, and instead focus on the immediate task of protecting our livelihood. We don’t enjoy to embroil ourselves in the rumor-mill of negative energy. More specifically, what’s going on can be described with the assistance of Maslow’s Hierarchy of Needs. This is a ‘model’ for understanding how our decisions and actions are instinctively guided by the fulfilment of needs, starting with the very core requirements of life, up to ultimate self-satisfaction. When we believe that our Job Security is low, we’re tapping into fear that our most basic needs will not be met – food, warmth and a home. Until we can be sure (in whatever form that takes for us personally) we won’t even begin to think about higher-order needs like self-fulfilment. It’s every man (and woman) for themselves. We become selfish. The implications of this are that career plans become less important, and the desire and energy we would have previously ploughed into activities ‘for the greater good’ stall. Our designs for a more perfect future are cast aside for any old future, as long as our basic needs are met. Strategies are replaced by tactics. Personal Development Plans and our long term objectives will take a back-seat, and we will focus on the immediate tasks where measurement of ‘good’ or ‘bad’ is more obvious. Relationships also come under strain, because people behave very differently in these situations as stress takes its toll. Some co-workers may appear buoyant and full of future-anticipation, especially if they also appear to be bouncing with the movers-and-shakers. You may be perceived this way. This can cause jealousies between colleagues, or resentment. Some colleagues may also outwardly appear fretful and behave negatively to the point of being tedious. You may be perceived this way. This can cause dis-engagement and avoidance. These situations can also cause colleagues to band together, strengthening their bonds to fight a common enemy. This adjustment of alliances de-stabilizes work in progress, disrupting processes and increasing the likelihood of ‘working to order’. Progress slows. So it’s no wonder that work is impacted. Is this reflected in your organization and psychological state? It takes a strong person to lift yourself above all this and look at this crisis as an opportunity. And believe me, there is opportunity in these situations. It is possible, and it is worth a try. 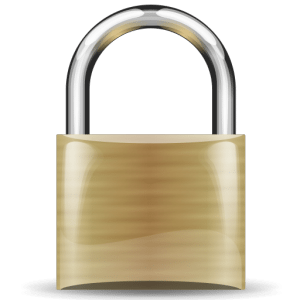 I wrote a post: Does Job Security Matter To You?. If you’ve already accepted the worse, then you have nothing to lose! Previous Article Need help with a Job Application?